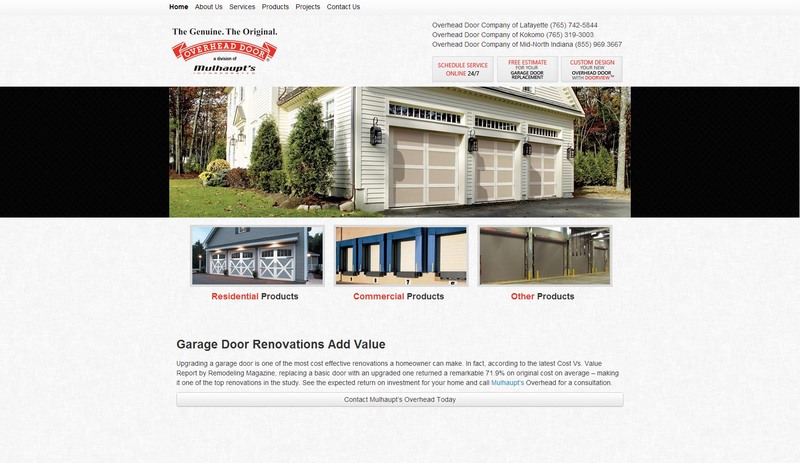 Original Overhead Door is owned by Mulhaupt’s of Lafayette, Indiana. We were brought into this project to overhaul their web presence with best practices and usability. The focus of this site was to remove all the gimmicky teases they had on their old site (like auto-play background music) and focus on the core audiences. The site has since been handed off for Mulhaupt’s to manage the content so it may not appear as it originally intended to.